Today I come to you with an exciting review. I have been looking at Medichecks for a long time and finally got it done. 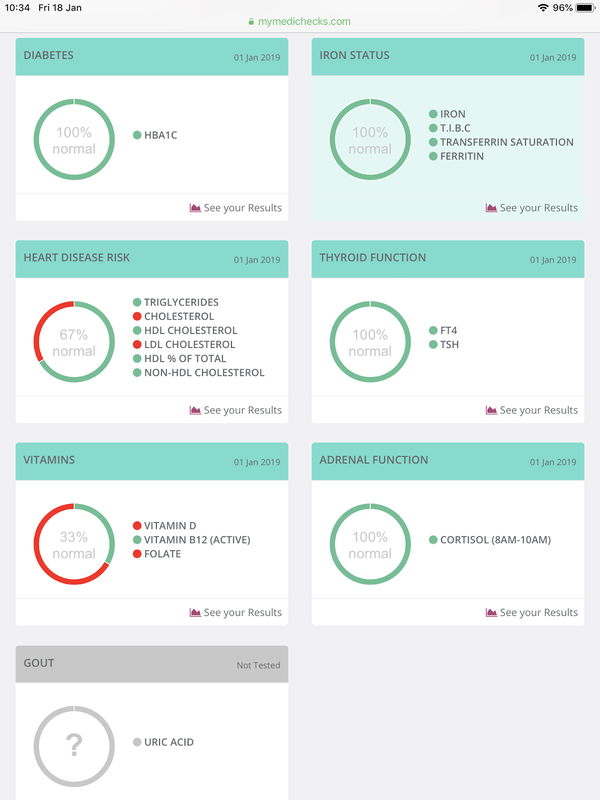 Medichecks is a fantastic health testing site. If you have ever wanted to find out about your medical health here is the place to have it checked out. They offer a huge variety of test from allergy and nutrition to heart disease. They really can check your health. 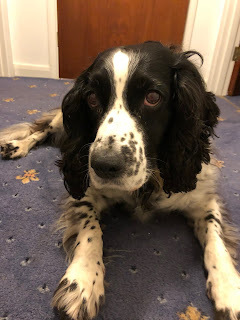 I am of the opinion that everyone should have a health check. I mean we mot our cars but we don't do it to our bodies. That to me seems crazy. I spoke with a really helpful advisor online. Who to help me narrow down which test would be suitable for me. As you may know, I like to work out and keep fit and I really want to up my game this year. So I was advised to have The endurance fit test. The endurance fit test is On sale at £119 at the moment. This test is for endurance athletes of every level who want to help optimise their performance and recovery with advanced hormones and sports nutrition. This checks a whopping 50 different test in one everything from hormones to kidneys its all checked in the comprehensive test. What they say about the test. This advanced profile for endurance athletes covers all the bases, looking at markers which can help identify overtraining and injury as well as those that could cause lack of energy and motivation. Use this test to establish your pre-training baseline and then track changes as your training load increases. 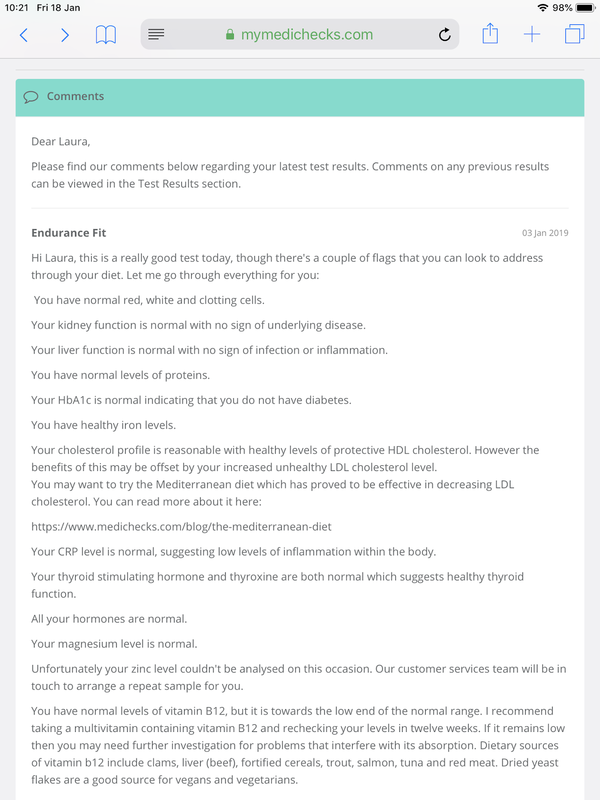 This profile includes tests for inflammation and muscle damage, cholesterol for cardiovascular risk, hormones which can be affected by training such as testosterone, oestradiol and cortisol as well as markers for fatigue such as a full iron profile and vitamin B12. All your results will be reviewed by a qualified doctor who can advise you on what changes you need to make to your training and nutrition. 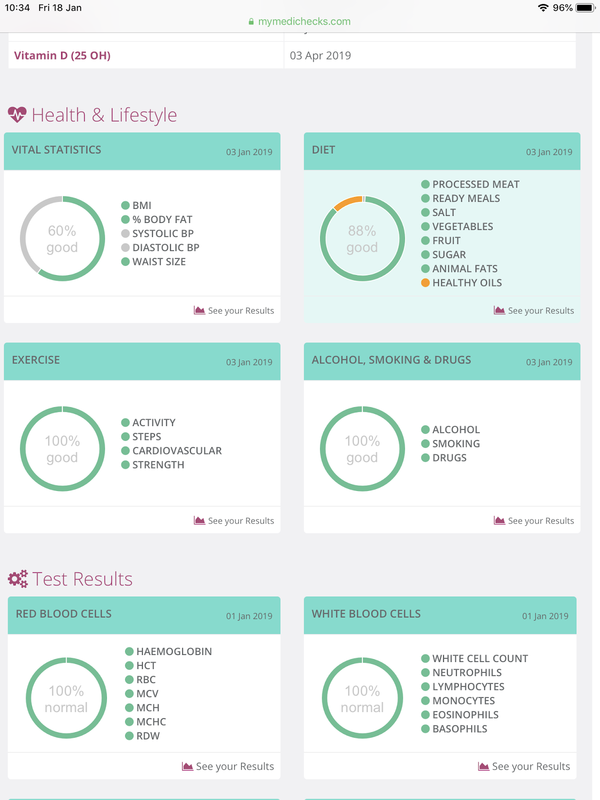 Once you have purchased you test you have access to a huge online portal which will have all you results in there and also you have a medical question to answer about your health and lifestyle so the doctor has an overview or your life. Medicheck does all the hard work you sit back and wait for your sample kit to be delivered to you. They even arrange your appointment to have your test taken by one of their registered clinics. So simple. Everything is provided within your kit. Forgive me I didn't look too hard in my kit being a wimp. But my husband told me it had needles, collection tubes, even cotton swaps and all the information the clinic needed to take the samples. I had this done in Torbay hospital when I was away. I actually had it done on new years eve. Now a couple things about me I am a huge need phobic so having this test was very scary for me. I was very apprehensive. I have always been needle phobic and I normally faint when having blood taken. The nurses who took my test were wonderful. I have never been in and out of a hospital so fast in my life. We managed the whole thing in under 20 minutes that included finding the department. This is a strange thing to comment on but the actual blood draw was the best I have ever had. It was so quick. I didn't feel faint. The nurse told me that it was the needles provided by medichecks. That made it so simple. They are the newest ones on the market and means you don't have to change needles to fill each vill. There were three to be filled. I was left with the smallest needle mark and a tiny bruise. Now I know I am going on about this but normally my arm looks like I have been in the wars after blood is drawn. I honestly have to say if every blood draw was like that I would have it done all the time. The nurse packaged up the blood and all I had to do was pop it in the nearest post box. Simple. The next message I received two days later (yes over the holidays) was from the doctor performing my tests. They need to know about the last period for the hormones. I have the coil fitted. my last period was about two years ago. After they received this it was within 24hrs that I received my full report. Wow, there is so much to take in with the test. The things that have stood out to me are My elevated levels of cholesterol. They have recommended a Mediterranean diet. I will be trying this shortly. I was tested by my own doctor a few years ago. I had the lowest level of iron he had ever seen. So I was happy to see this has improved. I have started taking daily vitamin D, B12 and folate plus I have added in cod liver oil as I don't eat any fish. 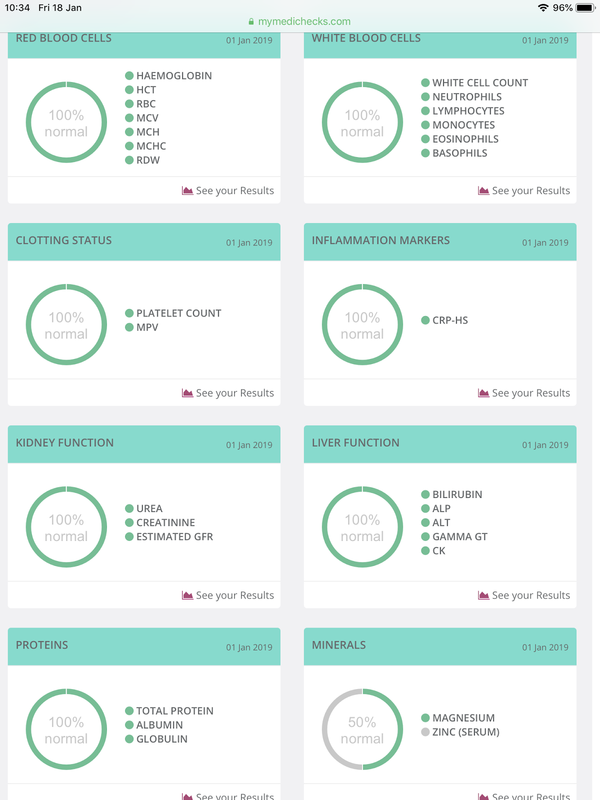 I really like the format of the results as you can click on any of the results to get a more in-depth result and understanding of what you are seeing. I really think this is something we should all be doing more of. 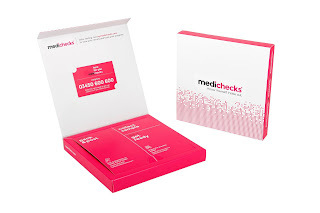 These tests are so affordable and really do give you a huge insight into your body. I know it will help me live a more active and healthy life. Plus it gives you peace of mind that your body is ok. As I have said we are quite happy to pay for a yearly car MOT why not do it for your body Too. We all take our bodies for granted until its too late. I really wish we were all a bit more accountable for our own wellbeing. 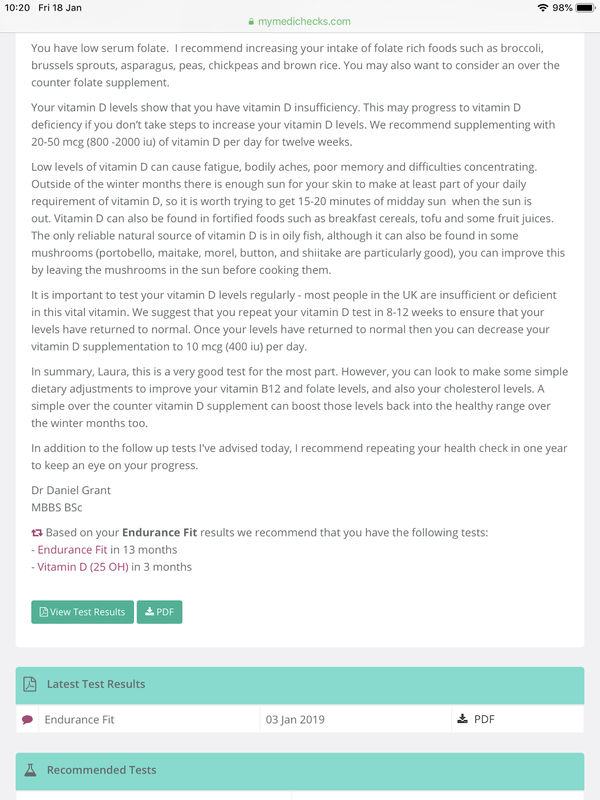 In my case being able to find out that, I need to take a couple of vitamins to help my fitness training is a fantastic way for me to help improve my stamina and training potential. This year is a year I want to make a big impact on my mountain biking fitness and this test it a great first step for me.